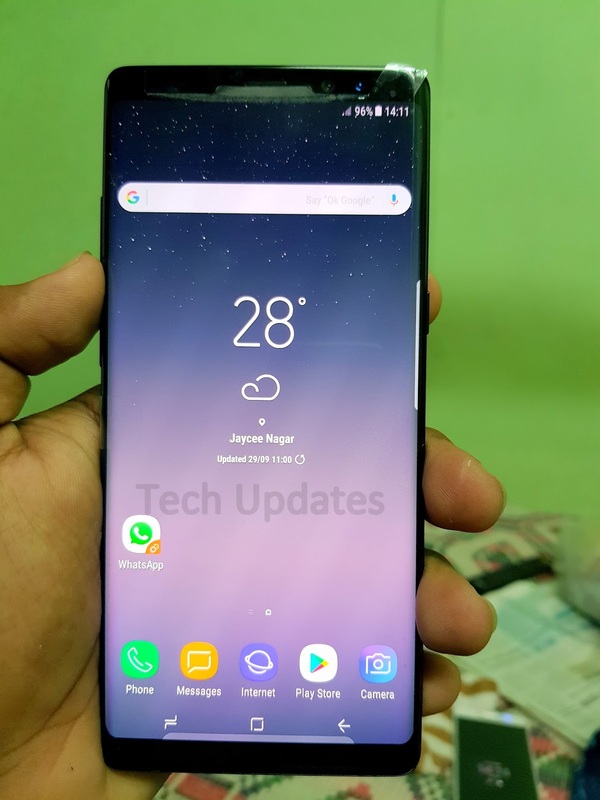 Samsung launched Galaxy Note8 in India Priced at Rs 67,900 in India. It comes with Infinity display, Dual Rear camera. 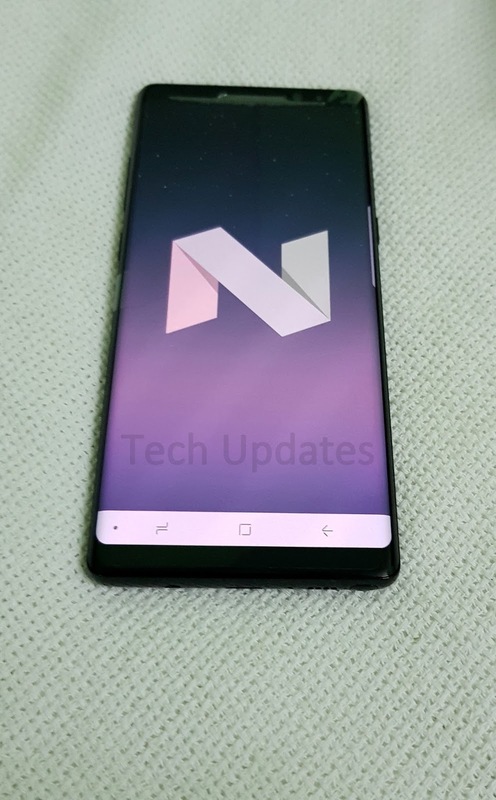 Here is Photo Gallery & First Look at Galaxy Note 8. On Design Galaxy Note8 comes with Glass and Metal body. On the front, it has a 6.3-inch Quad HD+ (2960 × 1440 pixels) Super AMOLED Infinity display 18.5:9 aspect ratio. Iris scanner, earpiece, 8MP front camera and sensors.Below the display, there are three on-screen touch buttons.Galaxy Note 8 has a bezel-less display which is similar to Galaxy S8 series. 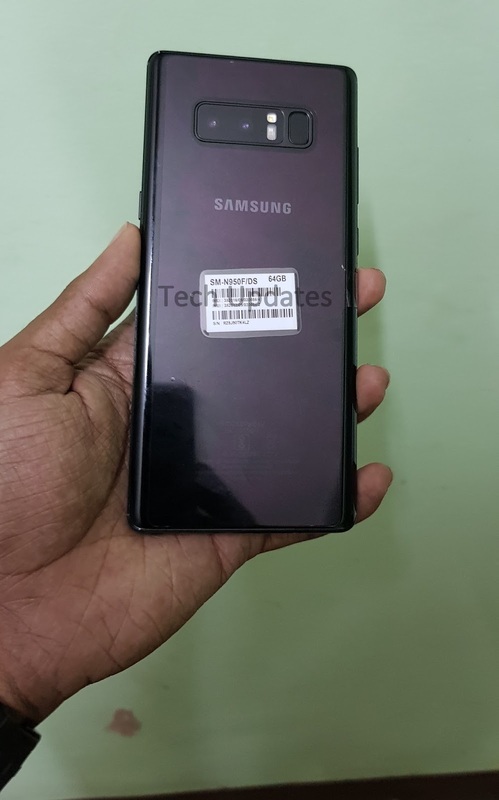 On the right side, it has a Power Button, volume rockers and Bixby voice assistant button Present on the left side, 3.5mm audio headphone jack, USB Type C, microphone, loudspeaker grills and S-Pen slot on Bottom and SIM card slot, microphone and antenna band cutouts Present on Top. 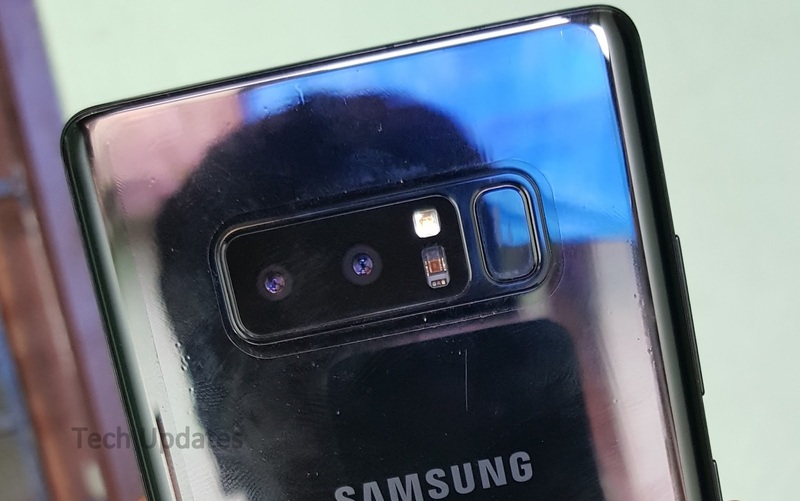 On the Rear, it has a 12MP Dual Pixel rear camera with LED Flash, f/1.7 aperture, wide-angle lens, OIS, a secondary 12MP camera with telephoto lens, f2.4 aperture, OIS, 2x optical zoom, up to 10x digital zoom, Fingerprint sensor, and heart rate sensor is also present at next to the LED flash below there is Samsung Logo. The phone measures 162.5 x 74.8 x 8.6mm and weighs 195g. 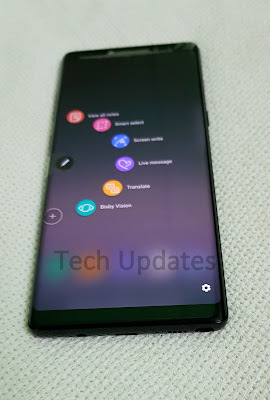 It is difficult to use the Fingerprint scanner on Note8. Note8 is also water resistant up to 1.5 meters of water for 30 minutes with IP68 ratings. 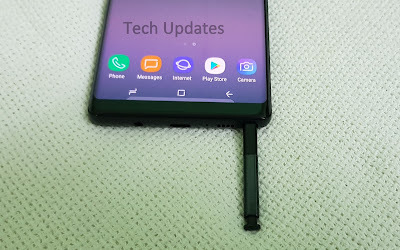 Samsung Galaxy Note 8 comes with an improved S Pen stylus now has a finer tip, improved pressure sensitivity and also now lets you share animated texts or drawings across platforms that support animated GIFs. Powered by an Octa-Core Samsung Exynos 9 Series 8895 processor with 6GB RAM, 64GB storage that is expandable memory up to 256GB with microSD.Dual SIM device runs on Android 7.1.1 Nougat with Samsung Experience UI 8.1. Connectivity options on the phone include 4G VoLTE, Wi-Fi 802.11ac (2.4/5GHz), VHT80 MU-MIMO, Bluetooth v 5.0.GPS with GLONASS, USB Type-C 3.1, NFC and MST. Packed with a 3300mAh battery and supports fast charging both on wired and wireless (WPC and PMA) which is able to deliver One day of battery life on a Single Charge. 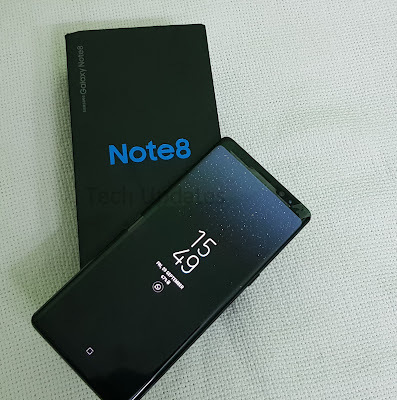 Samsung Galaxy Note 8 comes in Midnight Black, Maple Gold colors Priced at Rs 67,900. Galaxy Note 8 offers a Dual Rear camera, Bigger Display, New S-Pen. 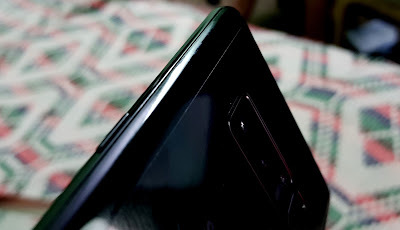 Fingerprint Scanner placement should have been below Camera.